BMS or Battery Management Systems can have multiple definitions depending on who you talk with and what their particular application may be. For some, it is just Battery Monitoring, just keeping track of the operational battery and providing some sort of alarm if something goes wrong with the battery. For an electric grid that uses batteries for standby power should a blackout occur BMS is a Battery Management System. This is a system where just monitoring a battery is not enough. Methods are needed to keep the battery at full power when needed, prolong its life, and to controlling the charging routine. Fast acting systems, such as in the automotive industry require interaction with multiple systems that include the engine, safety and communication systems, climate controls, etc. How we efficiently consume, conserve and securely generate the energy we need is one of the key challenges of the 21st century. One technology that has the potential to help meet this challenge is energy storage. Energy storage can aid in optimization of the electric grid, enable effective integration of alternative, intermittent generation, such as wind and solar, and can empower a new generation of electric vehicles. Large-scale storage systems are extremely complex. Proper system management is critical; it must be able to effectively monitor, predict and control all aspects of battery system performance, including capacity, cycle life and safety. Failure to provide such management results in underutilized (and overpriced) battery packs that require extra capacity to hedge against the unknown. Effective battery system management cannot be accomplished using existing technologies nor by employing traditional methods used for notebook or other smaller batteries. Further, a multidisciplinary approach is needed, one which combines knowledge of electrochemistry, power systems, modeling, and Digitally Assisted Analog (DAA). Requesting the devices to which the battery is connected to reduce or even terminate using the battery. Failure to provide such management results in underutilized and (overpriced) battery packs that require extra capacity to hedge against the unknown. Do you Really want to spend more money than needed? In addition, effective battery system management cannot be accomplished using existing technologies nor by employing traditional methods used for notebook or other small batteries. Further a multidisciplinary approach is needed, one which combines knowledge of electrochemistry, power systems, modeling, and Digital Assisted Analog (DAA). Understanding what needs to be controlled and why it needs controlling is necessary for battery performance and safety. This requires an in depth understanding of the fundamental Cell chemistries, performance characteristics and battery failure modes are just a few fundamentals that need to be understood. Communications between the battery and the charger or test equipment and or any other systems interfacing with the battery for monitoring its condition or its history. Cell balancing is a way of compensating for weaker cells by equalising the charge on all the cells in the chain and thus extending battery life. SOC stands for State of Charge of the battery. This is more than likely used to provide the user with an indication of the capacity left in the battery, or it could be needed in a control circuit to ensure optimum control of the charging process. State of Health, a measure of a battery's capability to deliver its specified output. This is necessary for the readiness or emergency power equipment. A means of ensuring proper charging of batteries. Batteries used in power tools can be extended by the use of an intelligent charging system which facilitates communications between the battery and the charger. The battery provides information about its specification, its current condition and its usage history which is used by the charger to determine the optimum charging profile. This process can also use Automatic Control Systems. The charger receives information from the battery which can generate an error signal which in turn can initiate actions to keep the battery within its desired parameters.No user intervention is required as it is part of a feedback loop. Some form of an Automatic Control System is in all Battery Management Systems. Standby and emergency power installations. Batteries may be inactive for long periods of time. The batteries must be fully charged at all times. Such installations must be available for use at all times. Knowing the SOH and the SOC of the battery is critical. Monitoring devices can provide a permanent on line measurement. This allows the plant engineer to have an up to date assessment of the battery condition so that any deterioration in cell performance can be detected and appropriate maintenance actions can be planned. In the automotive industry Battery Management Systems are much more demanding. Interfacing must occur between a number of on board systems in real time mode rapidly changing charging and discharging conditions as the car brakes and accelerates. It does must do this in an uncontrolled and harsh environment. Just a few of the desired functions are listed below. As you can see there are many systems that the Battery Management System must interface with. It can determine almost any desired condition and then implement the electrical power management action. Sendyne delivers key technologies for battery system management including current, voltage and temperature measurement ICs and modules, and modeling and simulation tools. These technologies are focused on crucial aspects of battery system management, including accurate sensing, powerdelivery system design, robust, predictive modeling and more. 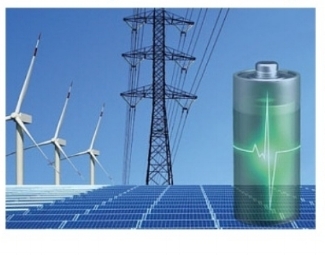 Increased Battery Energy Utilization with High-Voltage Isolation Monitoring.